This is the final post on our Winter Mantel. Thanks for hanging in there. 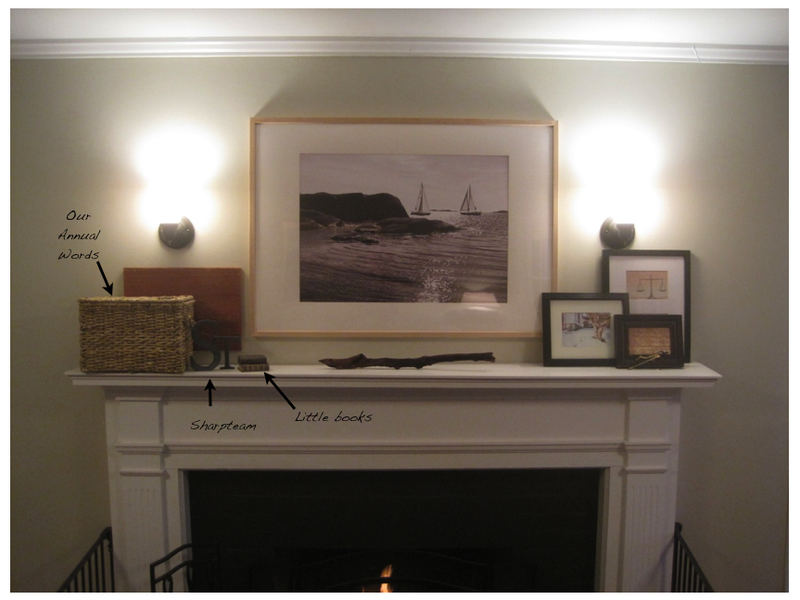 Most of our mantel is dedicated to remind us of our three word pair values, as we wrote about here. The box on the left is a more abstract symbol to us of our three phrases for this year. It has been an image and theme for us in our relationship and in our lives. We both seek to live our lives with open hands, not holding too tightly to things, and open to receiving whatever is placed in our lives. Building on that image we have chosen three phases as reminders to us of who we want to be this year. 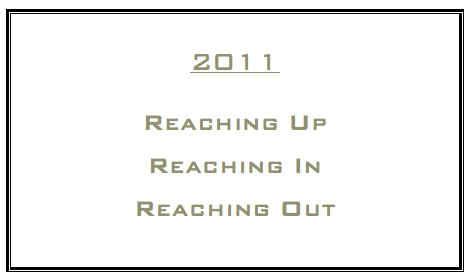 We want to be sure that we are intentional this year about Reaching Up. Our faith is foundational for the Sharpteam. We are seeking together to make sure we are reaching up to our God. We also want to be really intentional this year about continuing to build on our little family’s foundation. Seeking ways to know one another, affirm one another. We are committing to Reaching In. We also really long to connect with our community and seek ways to serve our community more and more, so we are committing to Reaching Out. We chose the box for these three words. We love the basket box (even Cole who loves to sit in it). And we thought it would be a good reminder that we should reach up out of the box, reach into the box, and reach outside of the box. As we head into 2011, we do reach out to you, and thank you for stepping with us.